The town of Salem is going to get a little bit more interesting beginning on Wednesday, Nov. 30 when Tionne “T-Boz” Watkins of the R&B group TLC joins the cast of Days of Our Lives. Soaps.com exclusively reported that the singer will play a prisoner named Sheila, which should tie in nicely to Hope’s (Kristian Alfonso) murder storyline. Entertainment Weekly shared that the plot will take place over the next two months with T-Boz’s character making life miserable in prison for Hope. Sheila is the big-wig behind bars, so you know the DOOL drama will be amped to the max. The storyline is also promising to get really juicy with two other characters in the mix. Hattie (Deidre Hall), the risqué Marlena “twin” who is serving time for embezzlement, and Chille, played by the always hilarious Dot-Marie Jones from Glee, will create even more fireworks as Hope tries to fight her murder conviction. More: New theory: What if Chandler Massey returns to Days of Our Lives permanently? Even though this is T-Boz’s first daytime television experience, she’s perfect for a tough, no-nonsense role like Sheila. Her work with TLC members Rozonda “Chilli” Thomas and the late Lisa “Left Eye” Lopes was groundbreaking for females working in the hip-hop industry. They had to work 10 times as hard as the men in the music industry to prove their worth. This type of fortitude can carry any artist through any new or foreign experience. Once T-Boz gets used to the rhythm of the DOOL scripts and the fast-paced environment, she will fit right in with the veterans on the show. 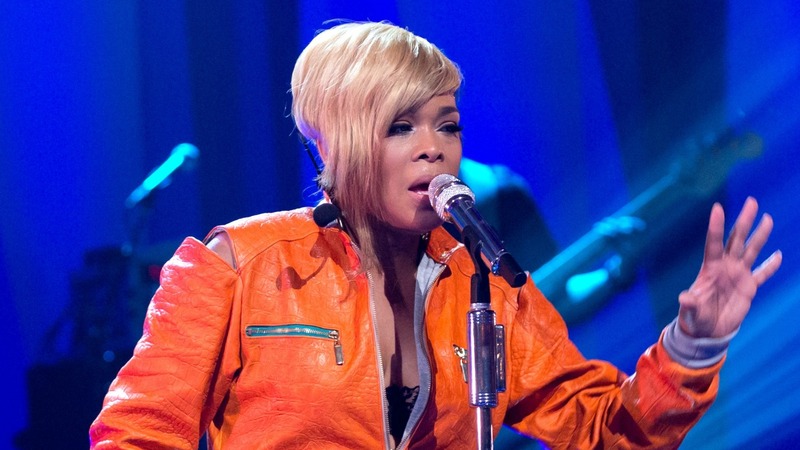 The drama in the music industry isn’t dissimilar to the drama viewers see on daytime TV, so affairs, arguments and prison politics are all going to be par for the course for T-Boz. She’s going to nail this role. So pull up a chair, and get ready for T-Boz to serve up some shade to one of Salem’s favorite heroines.